Home » Blog » Flyover near Cyberjaya and Putrajaya collapses! So scary ah! Flyover near Cyberjaya and Putrajaya collapses! So scary ah! OMG! Another highway having issue now! Few days back I saw it was the Penang Bridge and it’s the flyover near Cyberjaya or Putrajaya! So scary leh! Luckily now I moved out of Cyberjaya! After the bridge / flyover image being circulated over the FB, someone photochopped it! Flyover near Cyberjaya collapses because it’s attacked by Ultraman! Flyover near Cyberjaya collapses because it’s attacked by Angry Bird! There’s also more photochopped image, a “lady” doing aerobic exercise (senaman aerobik) on the collapsed flyover / bridge. Lol! The collapsed flyover near Cyberjaya. CYBERJAYA: A flyover near here collapsed Thursday afternoon but no one was injured in the incident as the road has not been in use since December. The flyover is located at KM P2.4 near the Selangor Science Park 2 Interchange between the Putrajaya Toll Plaza and Putrajaya/Cyberjaya, on Lingkaran Putrajaya. 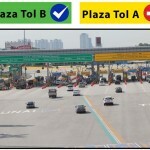 It is learnt that PLUS Malaysia was tipped off by the public at 12.49pm before highway officials rushed to the scene. A large water pipe which ran alongside the flyover was also damaged, which resulted in thousands of litres of water gushing out. PKNS general manager Othman Omar said construction of the flyover commenced in 2007 and it was completed in 2009, after which it was handed over to PLUS and the Malaysia Highway Authority (MHA) in March last year. A bystander taking a closer look. He said the project was financed by four developers (PKNS, Unduh Aspirasi, Taraf Unggul and Semai Ria) and coordinated by the State Economic Planning Unit (UPEN). “When we handed over the flyover to PLUS, it was still in good condition but in November, the road was deemed damaged due to the soft swamp soil and a contractor was appointed to dig up the road and apply a new tar on it. But in early December, the MHA discovered some movement to one of the pillars holding the flyover. Works Minister Datuk Seri Shaziman Abu Mansor, in a statement, said he conducted a site visit on Dec 7 and was briefed on the flyover’s conditon. The decision was then made to close the flyover and divert traffic for the safety of motorists, he said, adding that the flyover was initially expected to be closed until December this year. PKNS will set up a technical committee to identify the root cause of the incident. Following Thursday’s collapse, PKNS will set up a technical committee to identify the root cause of the incident. Othman said clean-up work at the site would take about three weeks and full restoration of the collapsed flyover could take up to eight months at a cost of between RM6mil and RM7mil. Users from the Elite Highway heading towards Putrajaya or Cyberjaya are advised to exit the highway via the Saujana Putra Interchange before entering the SKVE highway to Putrajaya/Cyberjaya. Meanwhile, in a statement late Thursday, PLUS clarified that the flyover was never handed over to the company to be maintained. “It was built by PKNS and continued to be under the purview of PKNS till today,” the statement said. 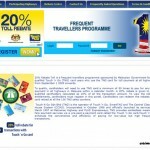 For more information, contact the Malaysian Highway Authority at 1800 88 7752. CYBERJAYA, Feb 28 – The flyover near the Selangor Science Park 2 (SSP2) here that collapsed today was closed for repair works since last November, the Selangor State Development Corporation (PKNS) said today. PKNS general manager Othman Omar said that the flyover, which was originally built by PKNS but has been handed over to highway operator PLUS Malaysia Berhad, was closed to repair a road that had begun to sink beneath it. However, PLUS has denied the flyover was handed to it, saying it is still under the purview of PKNS. Othman said that both PKNS and PLUS began investigations last December after noticing damage to the flyover from excavation works. “Before we could finish the investigation, the flyover has collapsed,” Othman told reporters here. Minister of Works Datuk Seri Shaziman Abu Mansor said in a statement today that the flyover and the road below it were closed since December 7 last year, and will remain closed until December 31 this year, depending on the speed of repair works. “On December 7, I visited the bridge after I was informed by the Malaysian Highway Authority (LLM) that there was movements on one of the pillars at the Science Park 2 tiered interchange that connects to Putrajaya and Cyberjaya,” said Shaziman. Shaziman’s statement was confirmed by PKNS’ deputy general manager Abdul Ghani Hashim, who said that four pillars on the Cyberjaya side suffered from structural problems. According to PKNS, the peaty land in the area caused the road underneath to sink, causing PLUS to hire a third party to run repair works. PKNS insisted that the flyover was in perfect condition when it was handed over to PLUS, but it was not designed to withstand deep excavation underneath which has caused structural disturbance. Othman today promised that works to rebuild the flyover will be started as soon as possible, with clean-up expected to take three weeks, and construction another eight months. “We don’t want this to be a war of pointing fingers … We want to take pro-active measures, we will fix this first. 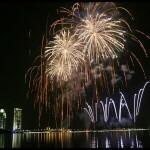 Hopefully along the way we will resolve this issue,” he said. The flyover collapsed around 12.30pm today and appeared to have been broken into two pieces, in the latest incident involving public works projects in the country. PKNS confirmed that no one was hurt in the incident. 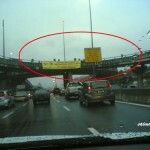 The flyover, which was closed last November, is an exit from the Elite Highway (KM P2.4) towards SSP2. The Lingkaran Putrajaya stretch managed by PLUS towards Putrajaya runs below it. Works on the RM7 million flyover by contractor BNI Construction started on October 2007, and it was completed on November 2009. Four developers – PKNS, Utuh Aspirasi Sdn Bhd, Taraf Unggul Sdn Bhd, and Semai Ria Sdn Bhd – shared the cost for its construction. LITRAK Introduced Contra Flow On LDP – Causing Massive Jam! 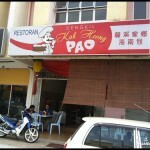 Dengkil Kah Heong Pao 龙溪家乡海南包 – Yummy Pau!